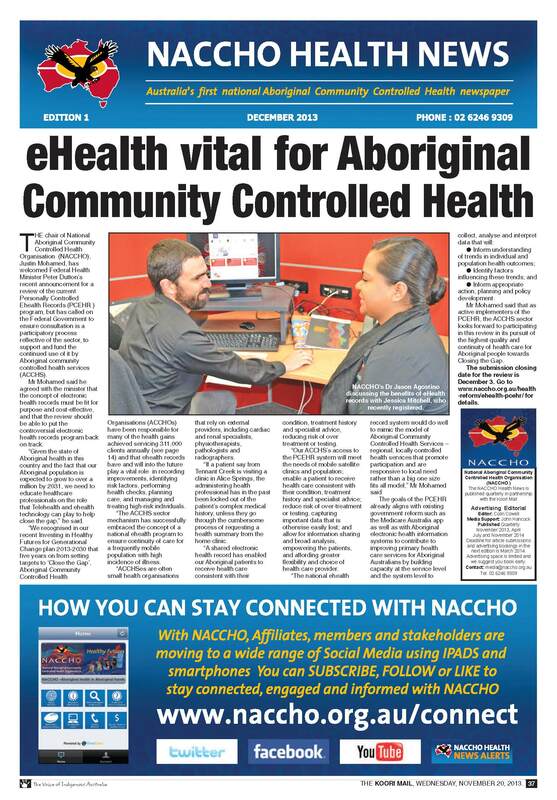 NACCHO Aboriginal eHealth news : Will all Aboriginal clients be automatically enrolled for an e-Health record ? All AUSTRALIANS would be automatically enrolled for an e-Health record and have to opt out to protect their health privacy under sweeping changes to the $1 billion white elephant. A government review of the troubled computer system is also considering changing the extent to which patients control what appears on the record. And doctors could get paid to upload patient health summaries onto the record to get more clinicians involved in using it. Launched in July 2012 the Personally Controlled Electronic Health Record was meant to bring medical records into the digital age and contain an electronic patient health summary, a list of allergies and medications and eventually X-rays and test results.